Go for a stylish spin in the Pug Swivel Chair by Zuo Modern. 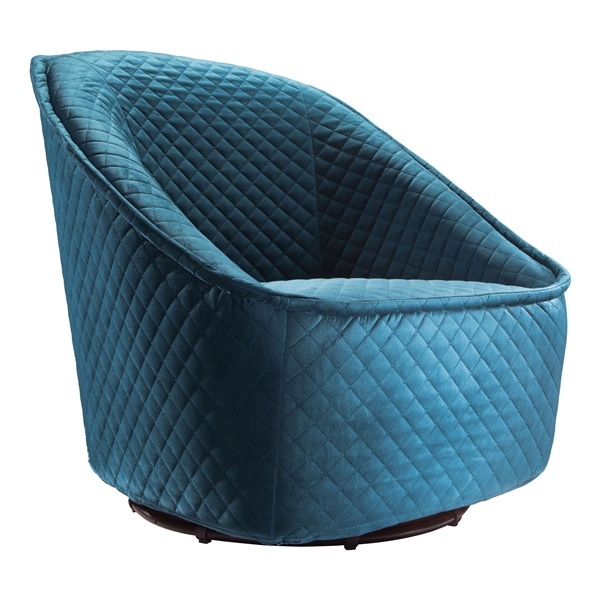 Available in a rich shade of aquamarine, this playfully retro chair features quilted velvet upholstery that's ultra soft to the touch. Brighten your den or bedroom with this innovative swivel chair. The rounded design is finished with durable metal for a sturdy base and easy rotation in all directions. The Pug Swivel Chair by Zuo Modern is finished with a seamed welt detail all the way to the outside edge for added interest.